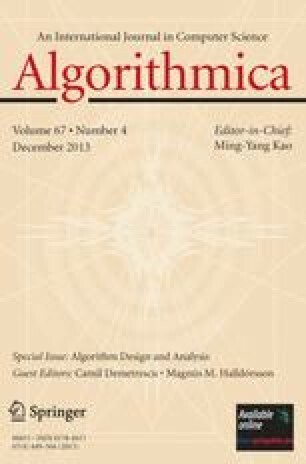 A theory for the derivation of on-line algorithms is presented. The algorithms are derived in the Bird-Meertens calculus for program transformations. This calculus provides a concise functional notation for algorithms, and a few powerful theorems for proving equalities of functions. The theory for the derivation of on-line algorithms is illustrated with the derivation of an algorithm for finding palindromes. An on-line linear-time random access machine (RAM) algorithm for finding the longest palindromic substring in a string is derived. For the purpose of finding the longest palindromic substring, all maximal palindromic substrings are computed. The list of maximal palindromes obtained in the computation of the longest palindrome can be used for other purposes such as finding the largest palindromic rectangle in a matrix and finding the shortest partition of a string into palindromes. This research was supported by the Dutch organization for scientific research NWO, under NFI project STOP, project number NF 62/63-518. Communicated by C. K. Wong.